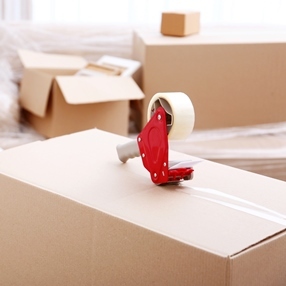 It is not a big problem to pack and ship something small that easily fits into the box. How about moving the entire home contents? It is needless to say that awkwardly-shaped, large, and heavy objects make this process much more confusing and challenging. Residential freight shipping is indeed one of the most stressful things people ever do in their lifetime, especially when it comes to moving cross-country or overseas. However, at Fine Art Shippers, we have a solution to any problem! Fine Art Shippers has over 20 years of experience, helping people ship fine art, antiques, furniture, musical instruments, and a whole range of other items from residential locations to wherever they need to be in the world. Moreover, our residential freight shipping services are not only about safe and secure transportation of various household goods and precious collections of art. Our team of experienced freight shippers is also known for providing comprehensive packing and crating services both on-site and in our warehouses. Besides, we always use state-of-the-art equipment and high-quality materials to offer the best packing option based on the fragility, size, weight, and value of the transported items. It is also important to note that if you order our residential freight shipping services, you can rely on our team to pack and ship absolutely any item. We have all the needed experience and equipment to relocate even huge outdoor sculptures and collectible cars while providing each of them with the utmost protection and care it deserves. Residential freight shipping is what Fine Art Shippers is proficient in, so let our shipping experts handle this complicated task for you! Moreover, dealing with us means to reduce freight shipping costs as all our services are very reasonably priced, and we are always ready to discuss where you can save on freight charges. Just let us know about your residential freight shipping problem and your budget, and Fine Art Shippers will offer you a professional and cost-effective solution. Whatever freight you need to ship, we are always ready to help!